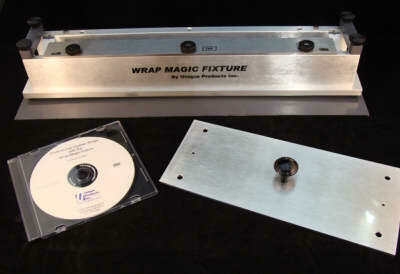 Our "Wrap Magic Fixture" has been under development for several years. We wanted to make sure we were providing a product that made the job of doing leather wraps easy, accurate and rewarding. Our view is that we have accomplished this with a product that has the following key features many of which are in the process of being patented.